The final Steve Grand in a speedo pic of 2018! Instagram Men: Robert Farah! Nicholas Rodriguez! Karamo Brown! RuPaul! Ricky Martin! Antoni Porowski! To say this hasn’t been Kevin Spacey’s year is a massive understatement. The disgraced two-time Oscar winner has surfaced in recent weeks in bizarre fashion. Spacey forged ahead with his slow-motion public meltdown on Sunday, and he made sure he was dressed appropriately for the occasion. The Daily Mail had photographers staking out a Baltimore luxury condo where Spacey was reportedly holed up when the actor delivered a medium cheese pizza from Domino’s. Spacey’s latest stunt comes less than a week after he released a bizarre YouTube video — his first social-media interaction in more than a year — in character in his former “House of Cards” role, Frank Underwood. 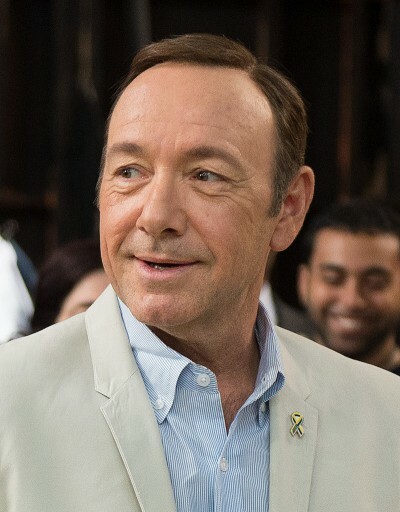 It also arrives days after the revelation that Spacey will be arraigned in January on a charge of indecent assault and battery in connection with the alleged groping of an 18-year-old man in 2016. Morning Man Classic: Tim Matheson!